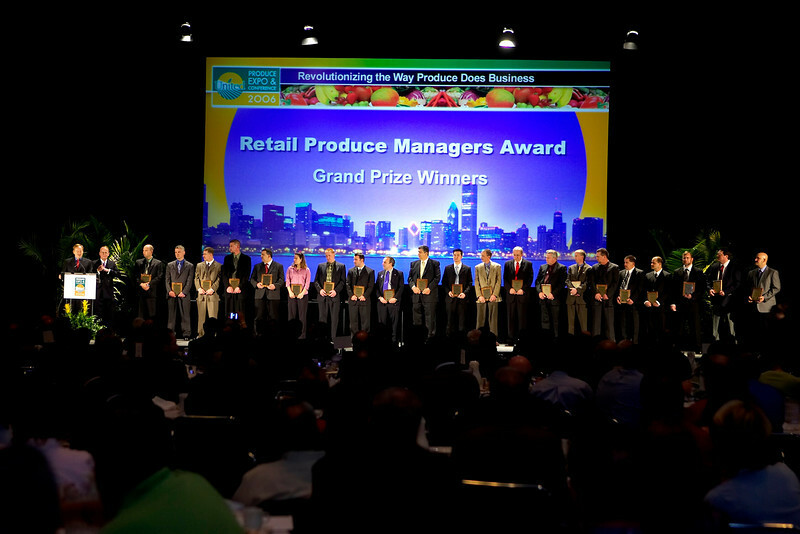 Chicago, IL - UFFVA Produce Expo 2006 - Produce Managers of the Year recieve their awards at the United Awards Breakfast here today, Monday May 8th, 2006. Over 30,000 attendees gathered for the annual United Fresh Fruits and Vegetables Association's Produce Expo and Conference here today, Monday May 8, 2006 to see produce and services of exhibitors from around the world here at the McCormick Center in Chicago, IL. Photo by © Todd Buchanan/UFFVA 2006. Technical Questions: todd@toddbuchanan.com; Phone: 612-226-5154.